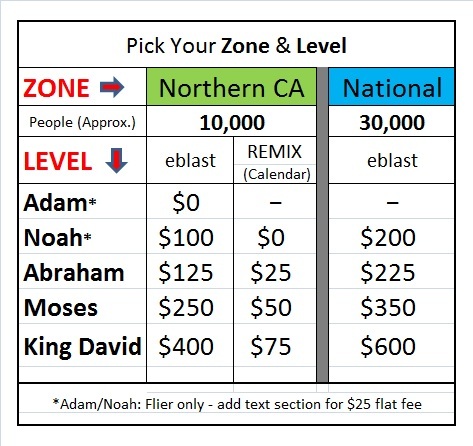 Our pricing model is based on a sliding scale so that we can be affordable to all Kingdom Builders! For branding effectiveness, we recommend 4+ eblasts for any standard marketing campaign. 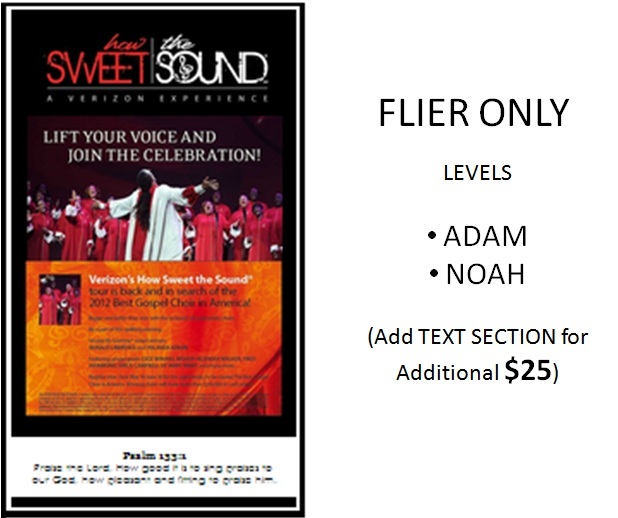 Prices below represent 1 eblast sent on 1 date. 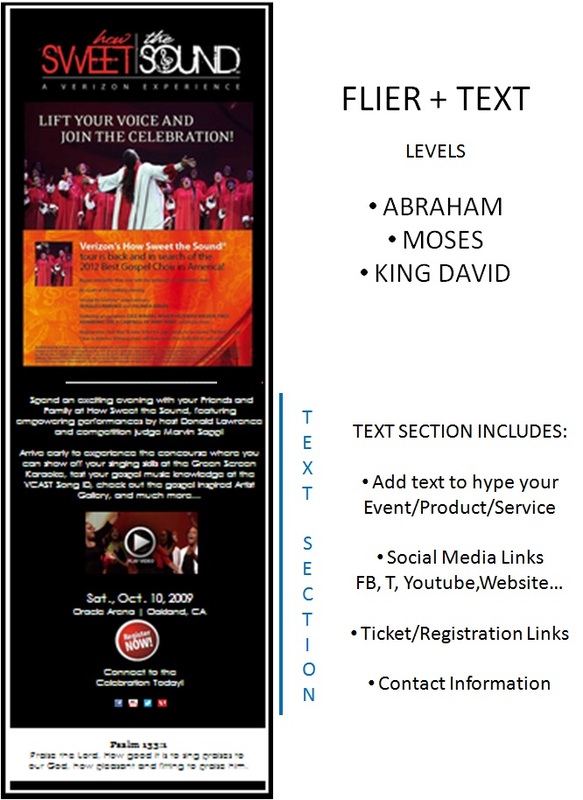 Spotlight Events: Event Ad posted on website $75ea. All completed graphic and information must be received by client no less than 3 days prior to launch date or a $25 Rush Fee will be applied. Click 'Graphic Work' above for more details. We require 2 tickets/ press passes to each event advertised for the purpose of taking photos and/or to create write-ups that may be published on our site or with other media partners.